Now home to a lumber company office, the old Metcalfe Depot is a wonderful survivor. It’s design was the standard of the short-lived Savannah, Florida & Western Railway (SF&W), known as a combination station for its use as a passenger and freight facility. 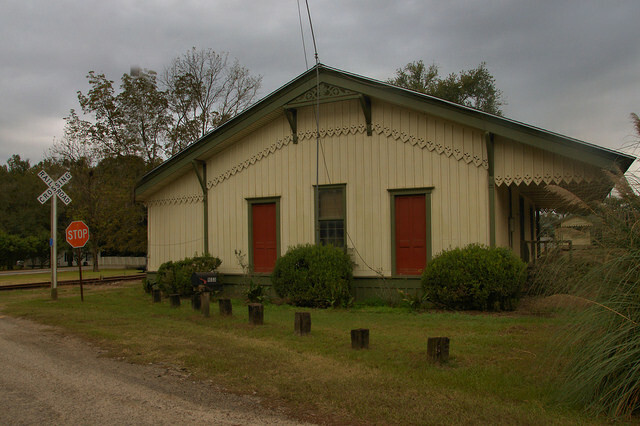 Henry Plant built a line from Thomasville to Monticello, Florida, as part of the SF&W in 1888 and this depot likely dates to that year. Metcalfe was officially “founded” in 1889, likely a result of the coming of the rail line. After Plant’s death in 1899, disputes among his heirs lead to the break-up of the SF&W and the Atlantic Coast Line took over this route in 1902. This is great to see. I lived in met all in the early 1970’s, when it was a virtual ghost town.